I was goofing off in Facebook when I saw a picture of a guy eating a melonpan. 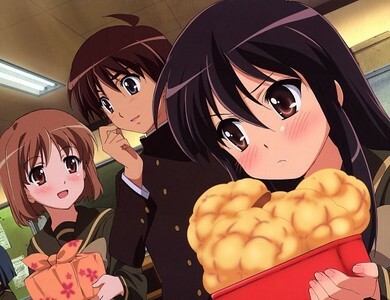 I got curious because I’ve never seen pictures of it aside from anime (It’s Shana from Shakugan no Shana’s favorite food. 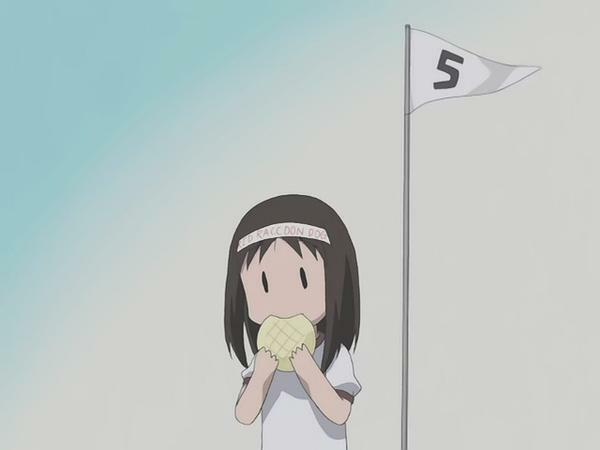 In Azumanga Daioh, different types of bread were also featured in a bread eating contest). 1. 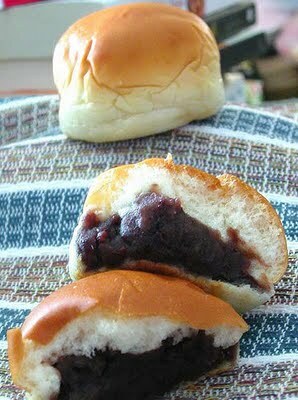 Anpan is a Japanese sweet bun most commonly filled with red bean paste. 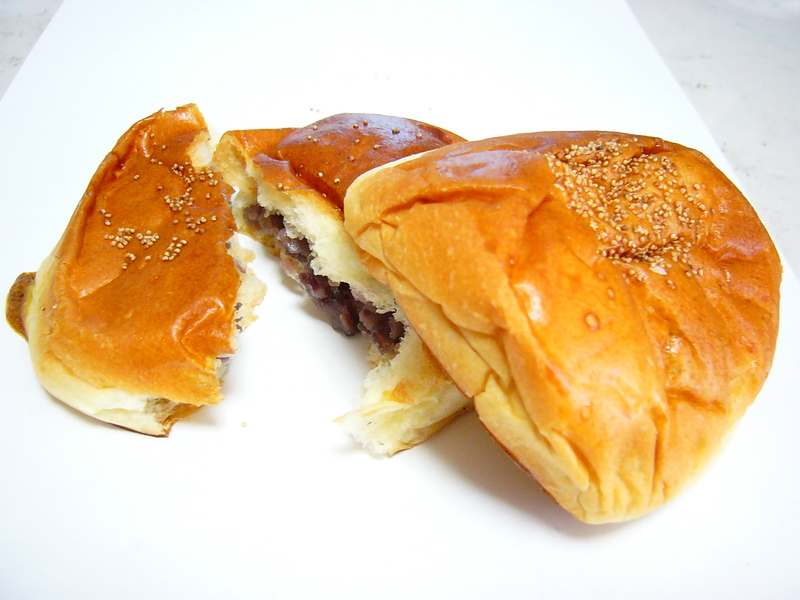 Anpan can also be prepared with other fillings, including white beans (shiro-an), sesame (goma-an) andchestnut (kuri-an). 2. 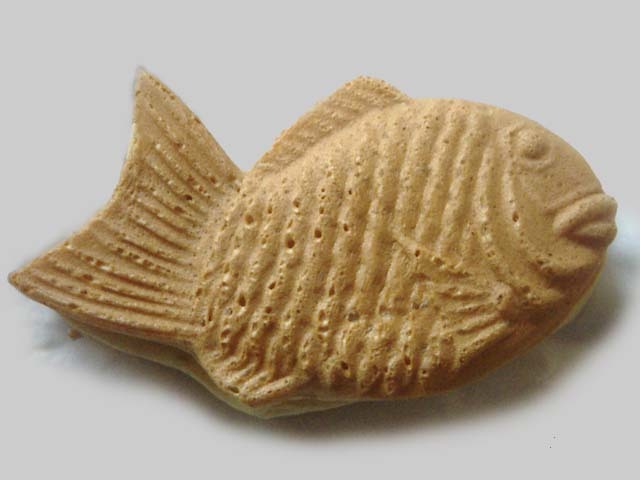 Taiyaki (たい焼き , literally “baked sea bream”) is a Japanese fish-shaped cake. 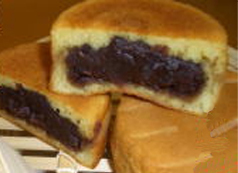 The most common filling is red bean paste that is made from sweetened azuki beans. Other common fillings may be custard, chocolate, or cheese. Some shops even sell taiyaki with okonomiyaki,gyoza filling, or a sausage inside. Taiyaki is made using regular pancake or waffle batter. The batter is poured into a fish-shaped mold for each side. The filling is then put on one side and the mold is closed. It is then cooked on both sides until golden brown. There’s a whole category of breads in Japan called okazu pan. Okazu are the savory dishes that you eat with your bowl of rice at a typical meal, and okazu pan are little breads with these savory fillings. 3. 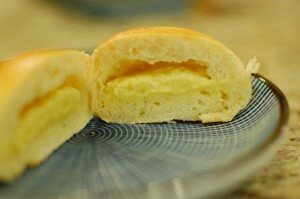 Curry bread (kare-pan) is one of the most popular okazu pan varieties. 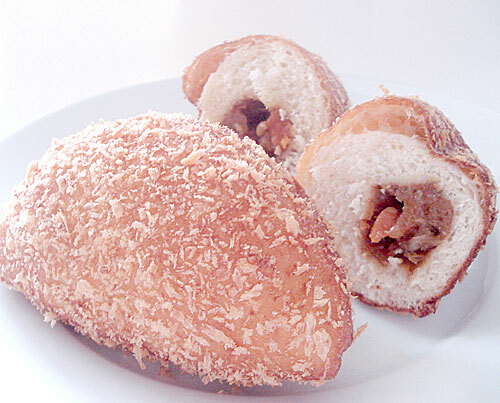 It’s a bun made of slightly sweet dough, filled with a spoonful of curry, breaded and deep fried. 4. 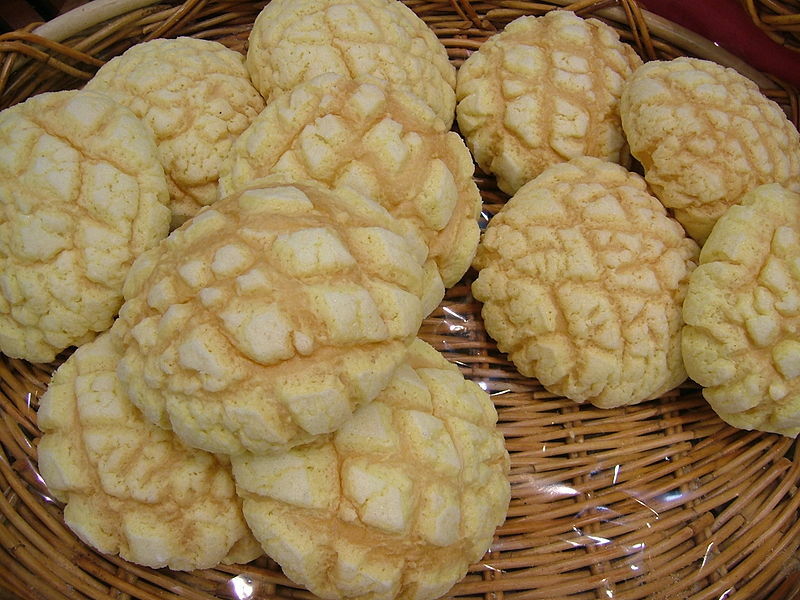 Melonpan (メロンパン meronpan), also known as melon buns or melon bread, are sweet bakery products from Japan, but also popular in Taiwan and China. They are made from an enriched dough covered in a thin layer of crisp cookie dough. Their appearance resembles a melon, such as a rock melon (cantaloupe). 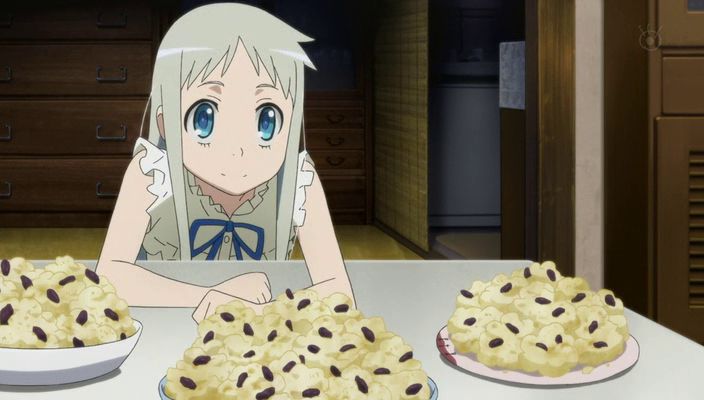 They are not traditionally melon flavored, but in recent times it has become popular for manufacturers to add melon to melon bread. Variations exist, including some with a few chocolate chips between the cookie layer and the enriched dough layer, and non-melon versions flavored with caramel, maple syrup, chocolate, or other flavors, sometimes with syrup, whipped or flavored cream, or custard as a filling. 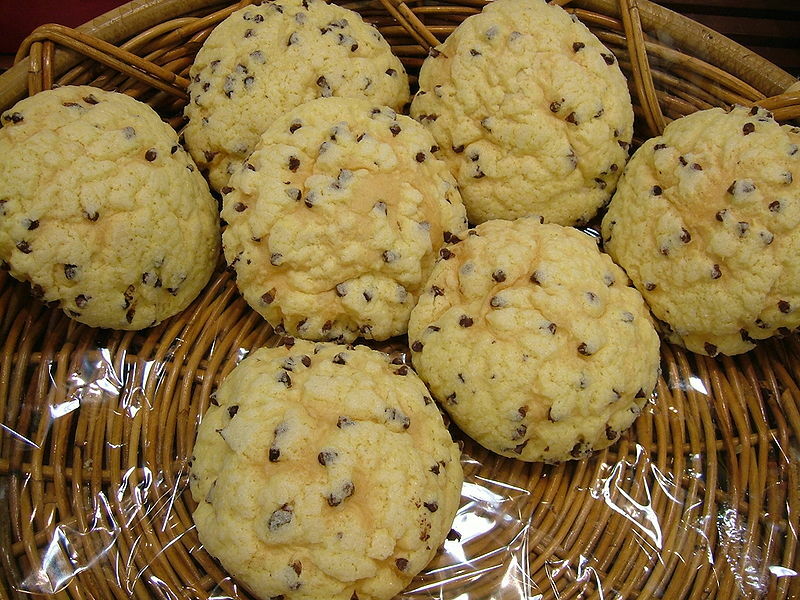 In the case of such variations, the name may drop the word “melon” (“maple pan”) or may keep it despite the lack of melon flavor (“chocolate melon pan”). 5. 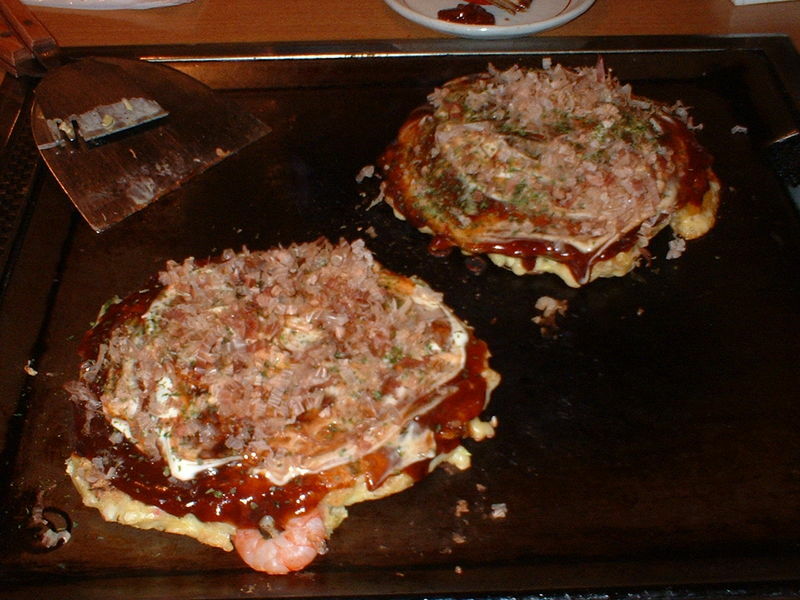 Okonomiyaki (お好み焼き) is a Japanese savoury pancake containing a variety of ingredients. The name is derived from the word okonomi, meaning “what you like” or “what you want”, and yaki meaning “grilled” or “cooked” (cf. yakitori and yakisoba). 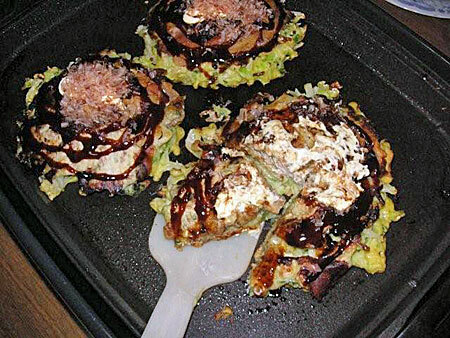 Okonomiyaki is mainly associated with Kansai or Hiroshima areas of Japan, but is widely available throughout the country. Toppings and batters tend to vary according to region. 6. 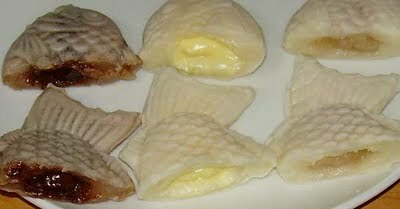 Imagawayaki (今川焼き) is a Japanese dessert often found at festivals, also eaten in Taiwan(where it is called chēlún bǐng 車輪餅 or hóngdòu bǐng 紅豆餅). It is made of batter in a special pan (similar to a waffle iron but without the honeycomb pattern), and filled with sweet azuki bean paste, although it is becoming increasingly popular to use a wider variety of fillings such as vanilla custard, different fruit custards and preserves, curry, different meat and vegetable fillings, potato, and mayonnaise. 7. 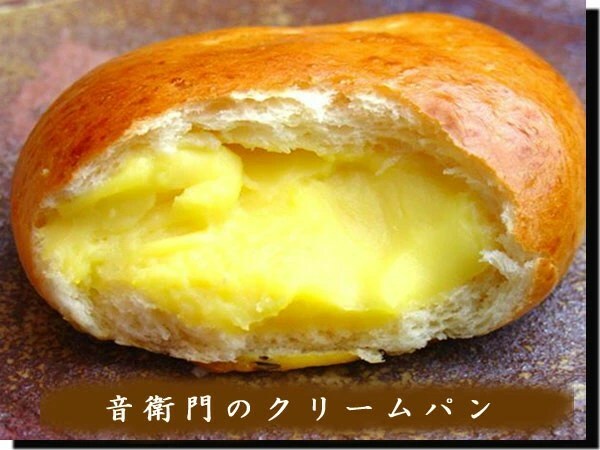 Cream pan is a Japanese sweet bread bun filled with a thick baked vanilla custard. Panko is not a type of bread but a form of breading. 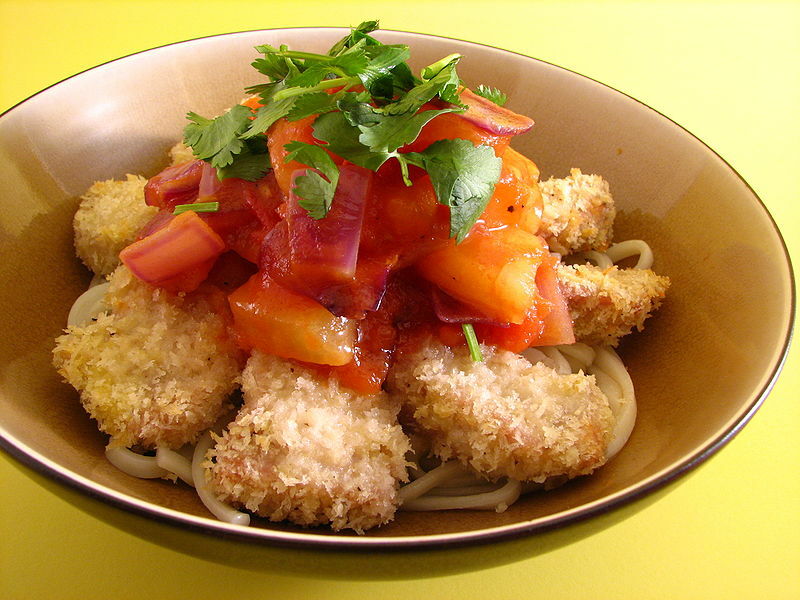 Panko is a popular coating for fried meats, seafood, and vegetables. Panko is a lighter, crisper texture than other Western breading.